Cuisinart 12-Inch Skillet And Glass Lid Just $36! Down From $100! PLUS FREE Shipping! 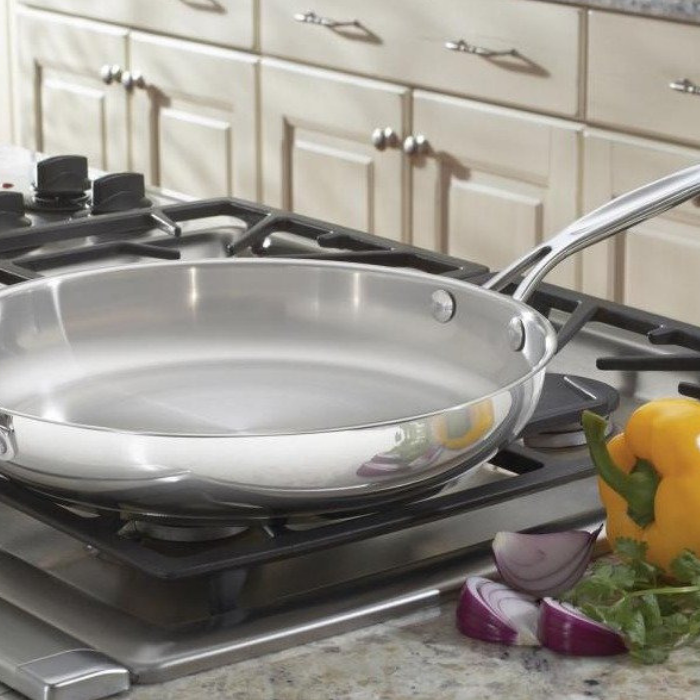 You are here: Home / Great Deals / Amazon Deals / Cuisinart 12-Inch Skillet And Glass Lid Just $36! Down From $100! PLUS FREE Shipping! Hurry over to Amazon where you can score this Cuisinart Chef’s Classic 12-Inch Skillet with Glass Cover for just $36.45 down from $100 PLUS FREE shipping! From eggs at breakfast to fish, chicken, or steak at dinnertime, this Cuisinart 12-inch skillet with glass cover is a great all-round performer when cooking for one or two. The advanced stainless steel interior is designed for healthy low-fat cooking, and is tough enough to withstand the use of metal utensils. Even the most delicate foods can be cooked without sticking and cleanup is quick and easy. With mirror finish. Classic looks, professional performance. Aluminum encapsulated base heats quickly and spreads heat evenly. Eliminates hot spots.